MST Club is rolling along with its rewatch project, this week we're watching Tormented at 9 PM Eastern (that's 6 PM Pacific) with a pre-roll yet to be decided at 7 PM Eastern (7 PM Pacific) for people who get there early. 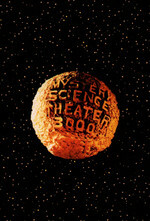 As usual, the show takes place at https://cytu.be/r/Metafilter_MST3KClub. I hope you can make it!